Just a reminder of my upcoming workshop for anyone in the Greater Toronto Area. This will be of interest to any short fiction writers who follow me here. 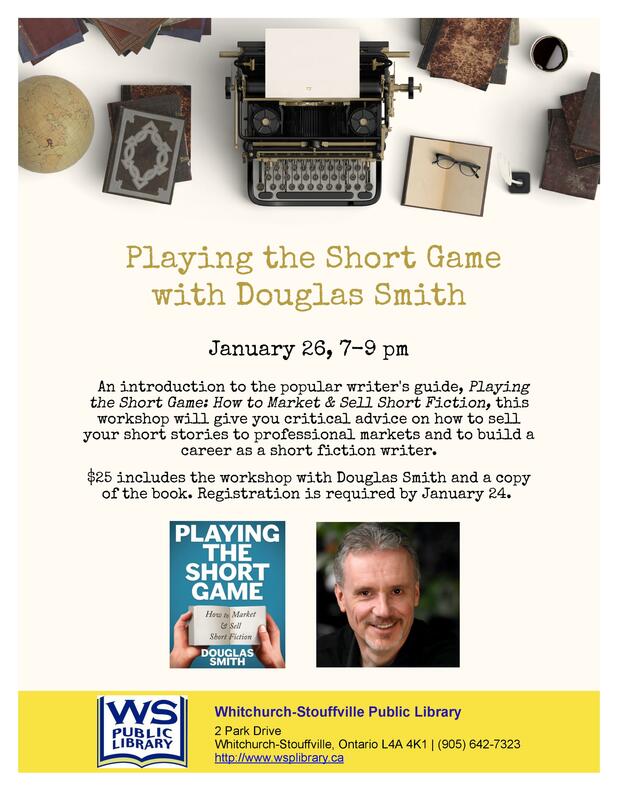 I'll be giving a 2-hour workshop on how to market and sell short fiction at the Whitchurch-Stouffville Public Library on Thursday, January 26,2017 from 7-9pm. The workshop will be an introduction to some of the material covered in my book Playing the Short Game: How to Market and Sell Short Fiction. what not to do when submitting. 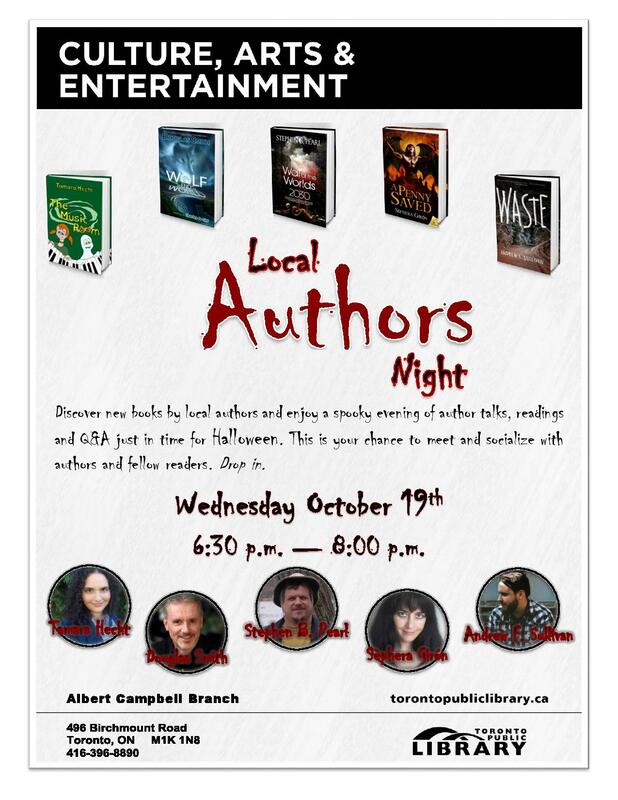 If you're in the GTA region, I hope to see you there! This will be of interest to any short fiction writers who follow me here. I'll be giving a 2-hour workshop on how to market and sell short fiction at the Whitchurch-Stouffville Public Library on Thursday, January 26,2017 from 7-9pm. The workshop will be an introduction to some of the material covered in my book Playing the Short Game: How to Market and Sell Short Fiction. 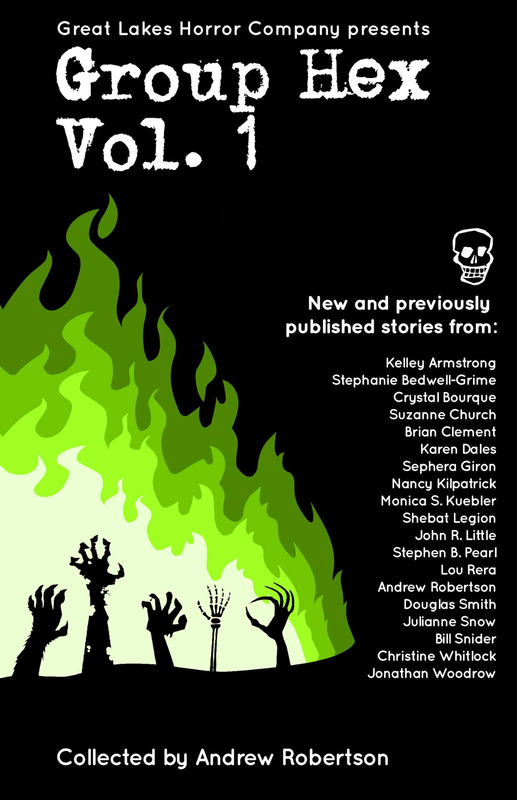 I'm very happy to announce that I have a "new" short story out in Issue #12 of the fine Canadian speculative fiction magazine, Pulp Literature. 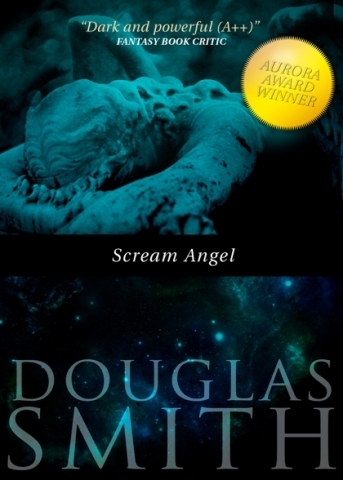 The gorgeous cover can be seen at the side here. My story is called "The Last of a Thing" and is high fantasy. I purposely play around with the tropes and cliches of that genre to tell a tale whose message is...well, I'll let you read it, but let's just say this little story shares a heart with my novel The Wolf at the End of the World. Why the quotes around "new"? 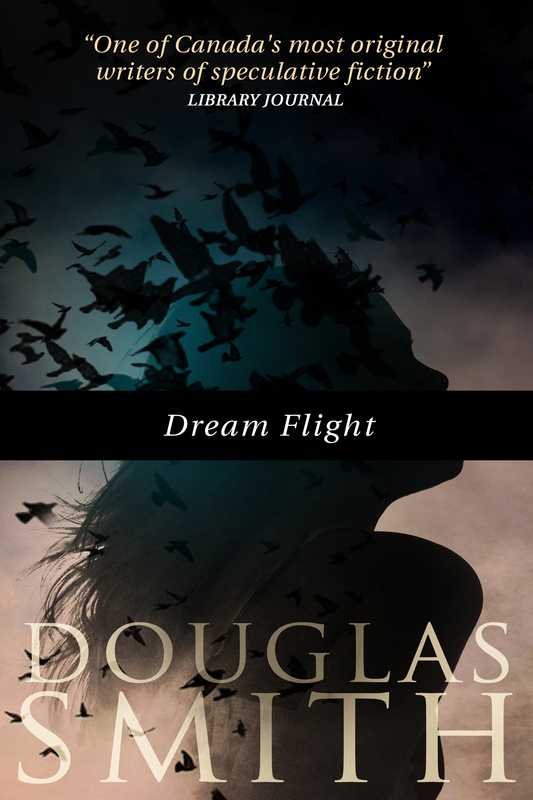 Well, although the story has never been published before (so it will be new to any of my readers), I had actually sold it a couple of times in the past. However, it never managed to see the light of publication until now. Every time I sold it, the magazine would fold or the anthology would never be published. Yes, this was my "market killer" story. Every short story writer, if they've been doing this long enough, has one of these—a story that seems cursed to take down any market that dares to try to publish it. So I'm very glad that (a) the story has finally really sold and is now available for you to read, and (b) I didn't end up killing a fine Canadian magazine. Issue 12 is available for purchase here, in either print or ebook formats. 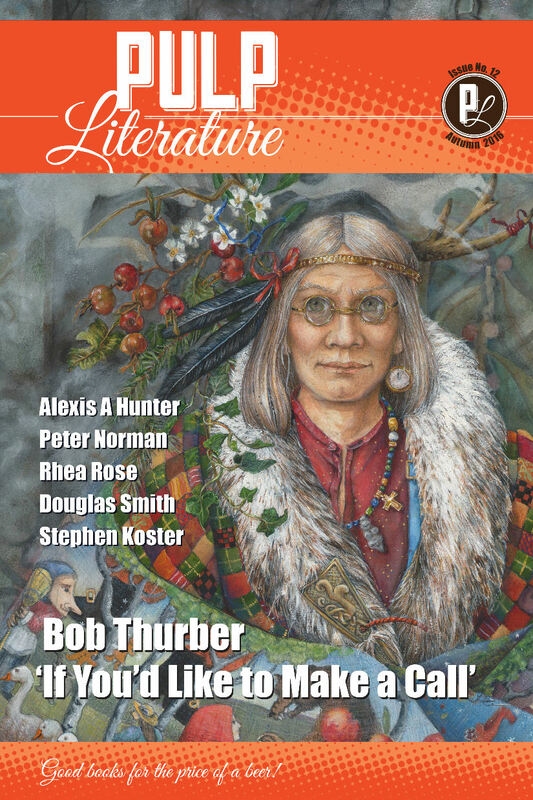 I hope you'll check it out and help support Pulp Literature and Canadian speculative fiction by buying a copy of the issue or, better yet, a subscription. We'll each be talking about our writing, giving a short reading, and then answering questions from resident librarian Maria Samurin and the audience. After, we'll all be there to chat with. Books will also be available for purchase and signing. The event starts at 6:30pm and runs to 8:00pm. I hope if you're in the area that night, you'll drop by to listen and talk with us. 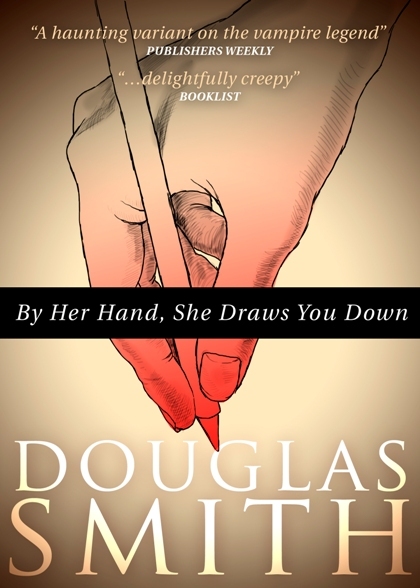 I'll be one of six authors appearing at the Whitchurch-Stouffville Library (2 Park Drive, Stouffville, ON) for the inaugural Indie Author Day on Saturday, October 8. 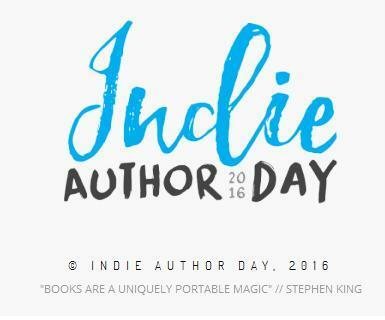 Indie Authors Day is a North American event in which "libraries from all across Canada and the US will host their own local author events with the support of the Indie Author Day team. In addition to these local programs, each library’s indie community will come together for an hour-long digital gathering at 2 pm Eastern featuring Q&A with writers, agents and other industry leaders." I'm a hybrid author, with a traditional publishing short fiction career with my stories and collections, but also an indie career with my first novel, THE WOLF AT THE END OF THE WORLD, and my writer's guide, PLAYING THE SHORT GAME. I'm thrilled to be invited to participate in this event, and in my own home of York Region. 3:00-5:00 pm: Open house with the writers, including short readings and a chance to buy books and get them signed. I'll have all of my books available for purchase at reduced prices. If you're in the area, I hope to see you there!